How Does Earth Move Through Space? Now We Know, On Every Scale. An accurate model of how the planets orbit the Sun, which then moves through the galaxy in a different direction-of-motion. Image credit: Rhys Taylor of www.rhysy.net/, via his blog at astrorhysy.blogspot.co.uk/2013/12/and-yet-it-moves-but-not-like-that.html. An orbit solution gives a single point representing 1950 DA’s highest probability position and velocity on 10 March 2001. It also describes a continuum of other solutions consistent with the measurements but of lower probability. This “solution uncertainty region” was sampled to obtain sets of possible but less probable starting conditions on 10 March 2001. Each trace-point was then separately integrated 878 years to the A.D. 2880 encounter. The result represents the set of STATISTICALLY POSSIBLE trajectories. For the depictions that follow, 500 possible starting conditions were used. Relativistic point-mass perturbations included in the numerical integration are those of the planets, Moon, and the major asteroids Ceres, Pallas and Vesta. Thermal re-reradiation, solar radiation pressure and other effects dependent on poorly known physical parameters such as composition, mass and thermal conductivity are not included here, but have the potential to cancel each other with the result being comparable to the original impact detection case shown here. This “cloud” of particles does NOT represent lots of asteroids approaching together. It is instead the set of statistically possible positions of the single asteroid 1950 DA. Only one of the dots could be the actual trajectory of 1950 DA, but it is not known which one. Furthermore, systematic biases caused by unknown parameters could move the entire probability region away from the Earth. For example, if the asteroid’s spin pole points south, the cloud would pass far behind the Earth and there would be no hazard. If the asteroid’s polar axis points to the north, results could be similar to this reference (detection) case. These files are animated gifs which will move when displayed with a web browser or other such tool. If your display tool can’t display animations, only the first frame will show as a still. Internet users on slow connections may see jerky animation until the whole gif file transfers across the first time. 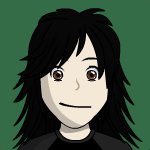 Once in local memory, the animation will loop and run at full speed. Distant view from north pole of solar system, looking down. Shows 1950 DA’s uncertainty region approaching Earth and being disrupted by the close encounter. The larger red dot is the highest probability position, surrounded by “virtual” 1950 DA positions of decreasing probability. Animation runs from 1 February through 18 Jun 2880. Animation from J. Giorgini (JPL). View zooms in from north pole of solar system. It shows 1950 DA’s uncertainty region approaching Earth and being disrupted by the close encounter. The larger red dot is the highest probability position, surrounded by “virtual” 1950 DA positions of decreasing probability. The circle around the Earth depicts the orbit of the Moon. Animation runs from 3 March 2880 to 9 May 2880. Animation from J. Giorgini (JPL). View rotates to an oblique perspective of the solar system as 1950 DA’s uncertainty region approaches Earth and is disrupted by the close encounter. The larger red dot is the highest probability position, surrounded by “virtual” 1950 DA positions of decreasing probability. Animation runs from 1 March 2880 to 3 May 2880. Animation from J. Giorgini (JPL). Edge-on view of the Earth’s orbit as 1950 DA’s uncertainty region approaches Earth and is disrupted by the close encounter. The larger red dot is the highest probability case, surrounded by “virtual” 1950 DA positions of decreasing probability. Animation runs from 16 Feb 2880 to 1 Jul 2880. Animation from J. Giorgini (JPL). This animation shows the resonance modulation of the 1950 DA uncertainty region between the years 2366 and 2631. Repetitive, periodic tugging on the asteroid by Earth’s gravity keeps the 1950 DA uncertainty cloud oscillating around the nominal position in the direction of motion, instead of simply spreading out over time. Animation from J. Giorgini (JPL). Err, well, not quite sure how to say this Dave, but here goes. After very carefully studying this picture my opinion is it is galactically ever-so slightly in the realm of suggestiveness. So what's the first thing you look at?................ I rest's me case yer 'onor. The relative attractive and repulsive effects is known as the Dipole Repeller. 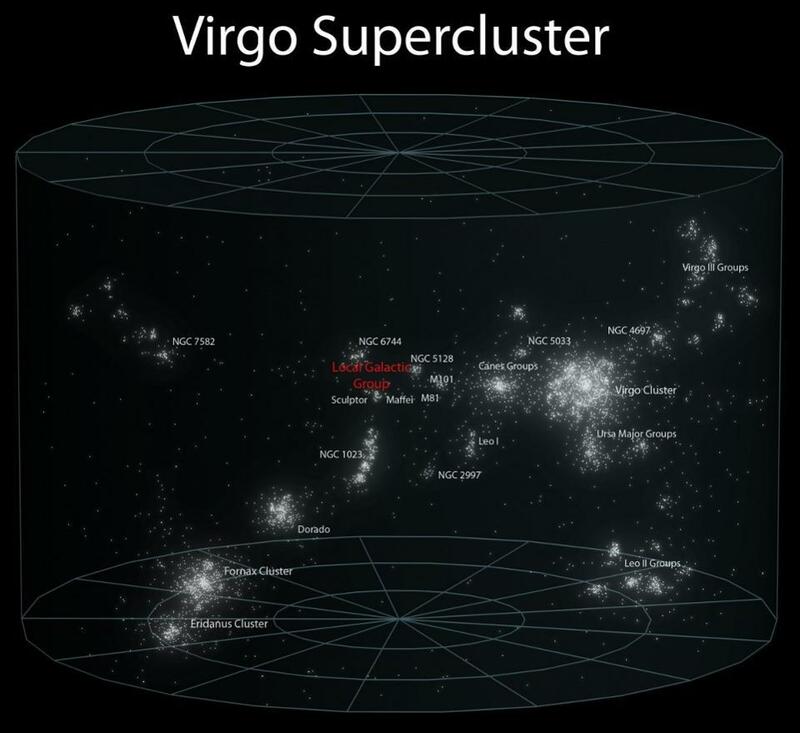 Follow up: After doing some digging it seems as though there are 1500 galaxies in the Virgo Cluster, meaning multiple millions of stars and it is 7.5 million light years in diameter. I'm guessing that's kinda big. My guess is the hottest place is where the Big Bang entered to begin our universe. 1dave . Dave, interesting observation, here is another......The Big Bang as we know it was not the beginning of the Universe, it was a collision of two galaxies and as a result everything scattered and we became part of what we call the Milky Way galaxy. The Universe has been a never ending case of galaxies colliding and creating newer galaxies. The Universe is and always has been . In other words there was no beginning and there is no end, it continues in perpetuity. Bit difficult to wrap your head around, but I can see it as being the case. This universe began as a black hole in a previous universe. We are inside that black hole. That previous universe ended up with a BIG CRUNCH, for us to get so much stuff. That ending convinces me that this universe will end the same way, regardless of the astronomers calculating that the galaxies are speeding away from each other so fast that the universe will dissipate into nothing. In spite of their talk about all the galaxies racing away from each other, Galaxies COLLIDE often! Each arm of the Milky Way is a previous separate galaxy that has collided with us, their central black holes joining with ours creating enough gravity to hold everything together. Andromeda is presently on a collision course with us. A 10 billion-year-old collision filled our galaxy’s inner halo and thickened its disc. By looking at recently released data from the Gaia space telescope, researchers found that the Milky Way’s inner halo is largely made up of stars from a 10 billion-year-old impact with another galaxy. The age, chemistry, distribution, and motion of individual stars helped researchers determine the precise nature of the collision with the newly named galaxy “Gaia-Enceladus”. 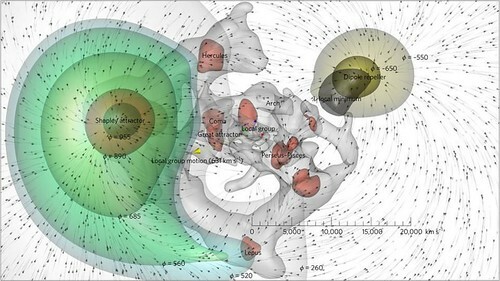 Previous models on the Milky Way's development suggested that its halo was made from mergers with other galaxies, but no one knew the timing or the number of mergers. We spoke with two of the study’s authors Anthony Brown, Leiden Observatory and Amina Helmi, University of Groningen about the study. ResearchGate: Can you tell us briefly what you discovered? Brown: We discovered the remnants of a significant merger between the Milky Way and another smaller galaxy which happened some 10 billion years ago in the Gaia DR2 data. This merger probably contributed to the formation of the so-called thick disk of the Milky Way. We also see the stars of the smaller galaxy which merged with the Milky Way scattered all over the sky. Brown: This collision deposited a significant number of stars in the inner regions of the Milky Way's halo and contributed to the formation of the thick disk. In addition, the stars from the smaller galaxy that fell into the Milky Way 10 billion years ago still form a population of stars that are rotating around the Milky Way center, in a sense contrary to the majority of the stars. RG: How did you discover this? What role did the Gaia telescope play in the discovery? Brown: Gaia provided the highly precise 3D positions and motions of the stars which were needed to isolate the population of stars that were brought into the Milky Way by the merger. This study would not have been possible without the Gaia data. RG: What does this mean for our understanding of the universe 10 billion years ago? Amina Helmi: This is an interesting question that we are just starting to explore. Using the debris from merged galaxies to understand what galaxies looked like in the early universe is a very new avenue of research because previously we could not disentangle which stars had been newly brought together. So, the first lesson we learned was that the Milky Way had a disk at that time and that this disk was strongly perturbed by the merger with Gaia-Enceladus. In the near future we plan to better characterize both systems. RG: Are galaxies still colliding today? If so, is this a common occurrence? Helmi: Not so often anymore. The Universe was smaller in the past and so collisions were more frequent. We believe, from cosmological models, that all galaxies have experienced mergers. But proving this is not easy and it is only now possible with Gaia for the Milky Way, or for events that have happened relatively recently. RG: What do you make of the predicted collision between the Andromeda and the Milky Way in four billion years? Helmi: That it will lead to “fireworks” in the sky. Andromeda is much larger, so the collision will likely completely re-shape the Milky Way, and the new galaxy will likely end up being an elliptical system. RG: If the Milky Way were to collide with another galaxy, what would that mean for life on Earth? Helmi: This is hard to say. If the merger was significant, and there was a lot of gas involved, then there will be many new stars born, and some of these might explode as supernovae. These explosions might have an impact on life, but I am not an expert in this. ResearchGate is the professional network for the world of science. On ResearchGate, 15 million researchers and scientists connect with peers, and share and discover science as it happens. The network provides advertising and scientific recruitment solutions for companies, research institutes, and other scientific organizations. So, how fast are we moving? The Solar System orbits the Milky Way at 200 kilometers per second, or at an average speed of 448,000 mph (720,000 km/h). Each trip takes about 230 million years to travel all the way around the Milky Way. johnw You need to read up on Edwin Hubble and Fred Hoyle. The Big Bang theory is the prevailing cosmological model for the observable universe from the earliest known periods through its subsequent large-scale evolution. 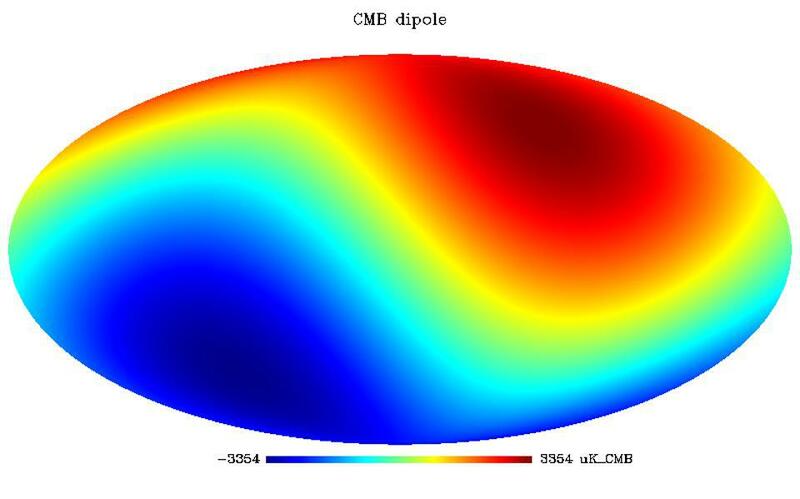 The model describes how the universe expanded from a very high-density and high-temperature state, and offers a comprehensive explanation for a broad range of phenomena, including the abundance of light elements, the cosmic microwave background (CMB), large scale structure and Hubble's law (the farther away galaxies are, the faster they are moving away from Earth). If the observed conditions are extrapolated backwards in time using the known laws of physics, the prediction is that just before a period of very high density there was a singularity which is typically associated with the Big Bang. 13.8 Billion years "This information helps astronomers determine the age of the universe. Age may only be a number, but when it comes to the age of the universe, it's a pretty important one. According to research, the universe is approximately 13.8 billion years old." So you are of the Hoyle school, the "steady state" theory? That new mass is constantly being created out of nothing between galaxies? Big Bang Theory - The Only Plausible Theory? In 2003, Physicist Robert Gentry proposed an attractive alternative to the standard theory, an alternative which also accounts for the evidences listed above.5 Dr. Gentry claims that the standard Big Bang model is founded upon a faulty paradigm (the Friedmann-lemaitre expanding-spacetime paradigm) which he claims is inconsistent with the empirical data. He chooses instead to base his model on Einstein's static-spacetime paradigm which he claims is the "genuine cosmic Rosetta." Gentry has published several papers outlining what he considers to be serious flaws in the standard Big Bang model.6 Other high-profile dissenters include Nobel laureate Dr. Hannes Alfvйn, Professor Geoffrey Burbidge, Dr. Halton Arp, and the renowned British astronomer Sir Fred Hoyle, who is accredited with first coining the term "the Big Bang" during a BBC radio broadcast in 1950. Big Bang Theory - What About God? The collision between galaxies ends up in a single larger galaxy. That does not explain the universe I see. 1dave Are we on a collision course with Andromeda or is Andromeda on a collision course with us? Meaning one galaxy is going faster than the other or is being chased or we are both on a direct collision trajectory. Collisions between galaxies result in the expulsion of debris being planets and stars and are scattered. Same goes for the expulsion from a black hole when it implodes upon itself resulting in a Big Bang. We have one Universe with a gazillion galaxies and new galaxies are being born when galaxies collide. If our understanding is we are in only one Universe created by the Big Bang, being only 13.8 billion years old, how do we account for the galaxies that are older? Dave, this is without a doubt a fascinating subject to discuss. johnw, do you have evidence of the existence of galaxies older than the Big Bang? As far as I can tell the oldest known galaxy is GN-z11, which is 13.4 billion years old. johnw , do you have evidence of the existence of galaxies older than the Big Bang? given time is infinite and the event as we theorize it took place at a point in time. That is not necessarily true. Scientists are still quarreling A LOT about that one. It could have taken a place at a point in time, or it could have been the beginning of time itself, meaning: there could have been something before the Big bang, or there was no "before" to be anything in there. Nobody really knows.